ON the Roblox website, trying to unfriend someone makes me lose control of the page. As seen in the GIF above, when I click unfriend, the screen goes darker and I am unable to interact with anything on the web page, including the yes and no options. This happens 100% of the time for me on both accounts. 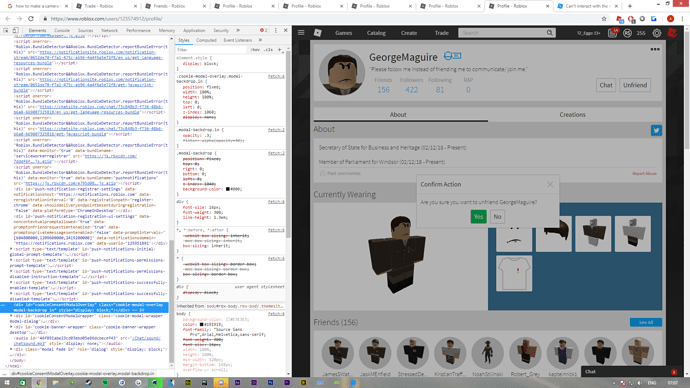 I am on Windows 10 using Google Chrome. You should include which browser you are using in case it is specific to a certain web browser. Looks like an issue of putting the modal overlay (the dark screen) on top of the notification prompt. Wrong layering order. This is happening only with Chrome. microsoft Edge, Safari, Opera don’t have this issue, Chrome is as well the only one with the confirm tab. I was having the same problem yesterday on Chrome with Windows 10 (I can attach specs when I get home if necessary). As a temporary fix I was able to inspect element and delete the darker layer, but this of course came back with reloads. 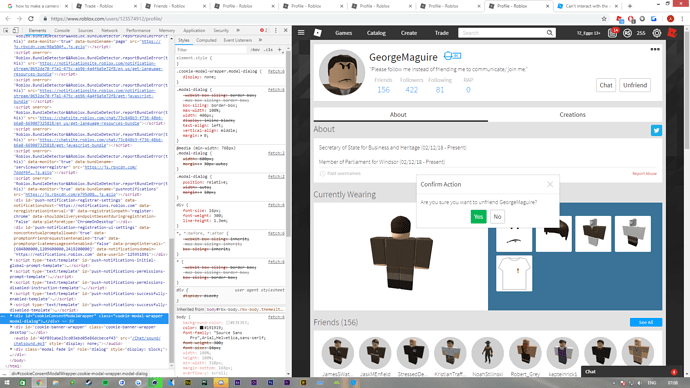 I am using Google Chrome on a Windows 8.1 PC. Today, I tried unfriending a few people, however I stumbled across an issue. When I tried unfriending the user I couldn’t click the Yes or No button on the box which allows you to unfriend the user. A huge grey block appears. I don’t know of yet if ROBLOX has a fix or are aware of this issue. Yeah you could even use the tab key to select buttons on the screen but it takes time and is clearly not intended behaviour. Just hope that a staff member has seen this and is releasing a fix. I’m pretty sure it’s a cookie issue. 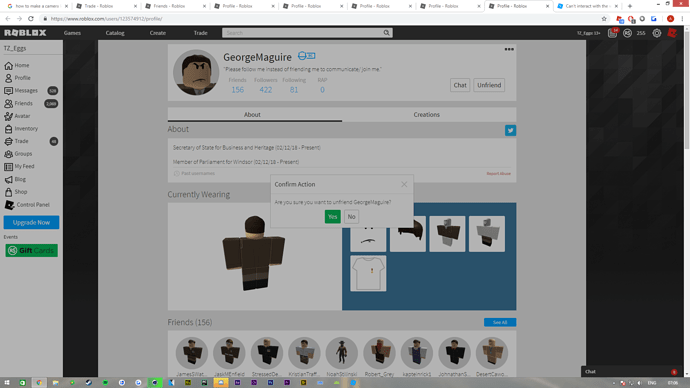 The thing that’s blocking me says “cookieConsentModalOverlay”, I even allowed ROBLOX on my cookie list on google chrome but it’s showing me the same problem. Yes this problem occurs with Mac users on chrome considering I am one.